Located in Barcelona, 1.9 km from Sagrada Familia and 3 km from Park Güell, Sunny Penthouse in Sagrada Familia offers free WiFi and air conditioning. 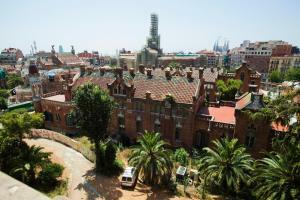 The accommodation is 3.2 km from the La Pedrera. 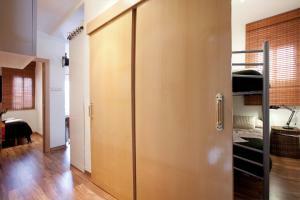 The apartment has 2 bedrooms, a fully equipped kitchen with a dishwasher, and 1 bathroom with a shower and free toiletries. A flat-screen TV is available. 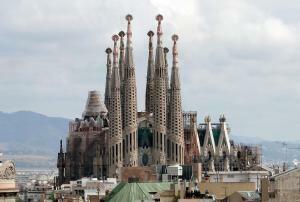 Casa Batllo is 3.7 km from Sunny Penthouse in Sagrada Familia. 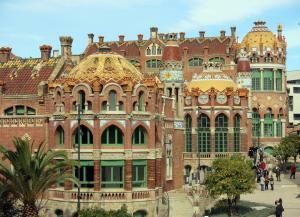 The nearest airport is Barcelona El Prat Airport, 19 km from the accommodation. This cozy apartment has a seating area, kitchen and dining area. The bathroom comes with free toiletries, bath or shower, and hairdryer. Rate: € 49.56 ... € 71.74; select dates below to get current rates.